Tekni-Plex will present a paper on Improving Tolerance During Manufacturing: Polymer Mandrels Applications for Interventional Catheter Development on Tuesday, February 5, during the MD&M West show, Anaheim Convention Center, Anaheim, California. Dan Lazas, Tekni-Plex senior director of medical components, will offer attendees insights on mandrels that are commonly used in the manufacturing of endovascular catheters to retain inside diameter dimensions and tolerances. Topics that will be covered during the presentation include mandrel application, selection and design for manufacturability. The use of polymer mandrels has proliferated in recent years due to the increase in cardiovascular and neurovascular guide catheter innovations and demand for thin wall, tight tolerance designs. 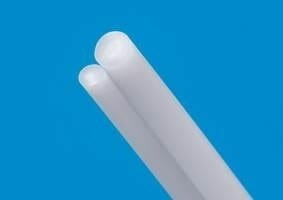 The most common application for polymer mandrels is the production of braid reinforced catheter shafts. These mandrels maintain inside diameter shapes and tolerances during extrusion of the thermoplastic inner layer, stainless steel braided middle, reinforcing layer, and extruded thermoplastic overcoat. Such constructions are common for cardiovascular diagnostic catheters. Polymer mandrels are also used to produce thin wall tubing with tight tolerances that cannot otherwise be produced using free-extrusion. For example, polymer marker bands used on balloon catheters are cut from thin wall polymer tubing with high loadings of tungsten filler to enhance visibility under fluoroscopy. 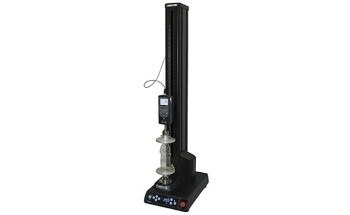 This material is too heavy to retain shape during free form extrusion and requires support by a mandrel of the inside diameter.